We are pleased to announce the release of NetWrix Account Lockout Examiner 4.1 – a brand new version of a popular component of NetWrix Identity Management Suite – with new features and major stability and performance improvements. Email notifications can be configured to be triggered only when specified accounts are locked out. User-friendly representation of account lockout examination results. Examination results now include the information on the process that may have caused an account’s lockout. We will appreciate any feedback on the newest version of the product and will work tirelessly to answer all of your questions about this brand new release. 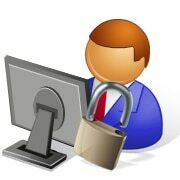 For custom quotes or additional details about the new release of NetWrix Account Lockout Examiner, please click here.